One thing in this movie is sure to anger long time fans of the series is that they made King Ghidorah a hero. It certainly feels very backwards and I don't know why they just didn't make King Ghidorah the bad guy and Godzilla the hero of the prophecy instead. While it may anger fans it doesn't stop this movie from being enjoyable. What's really great about this film are the fight scenes as they take everything you loved from the old films and raise the action to pure Armagoddamotherfuckingeddon (I've been playing too much Saints Row The Third). Gone are the computer generated models (not that there was much in the previous film) and up with the rubber suits and miniature sets and it looks really impressive. Now what about the human characters? The human characters and story is pretty crappy and feel like a cheap set-up for the battles. Don't worry as these parts only take up a quarter of the film with the fighting taking up the rest. One funny thing I'd like to bring up that happened in the film was that there was a scene where a group of scientists were talking about the attack on New York City in 1998 which is referencing the Godzilla film from that very same year. English dub wasn't too bad but there was nothing special either it is what it is. Pretty sure you can guess what's in the special features and you'd be right if you answered the theatrical trailer. The way I made it out was awfully snarky but it's not a bad trailer at all and was a very fun to see. 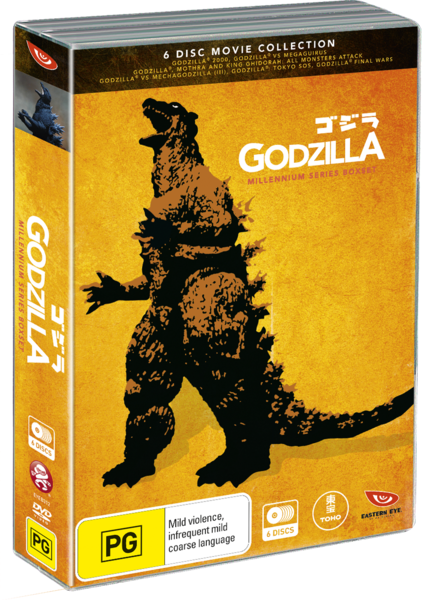 Overall this one is a pretty good one if you are a fan of watching gigantic monsters battle (that's most Godzilla fans) but if you enjoy these films for the story you will be disappointed. Great popcorn flick. That wraps up day four of Godzilla week. 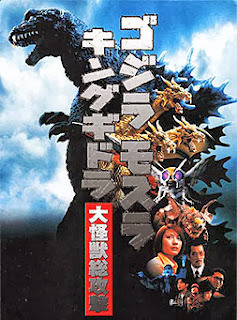 Make sure to keep an eye out for tomorrow's installment where I take a look at another classic rivalry revived for the 21st century and that is "Godzilla Vs. Mechagodzilla". Boy am I excited by the name alone as the Godzilla Vs. Mechagodzilla films tend to be some of the best that the franchise has to offer. Until then, keep your pants on (yep, I said a line from "Beavis & Butthead Do America (1996)").